Ok, that’s what I mean too, but for people who truly want to revel in nature, this Southern Ontario hot-spot does have something for everyone. Not only is Bon Echo home to the second deepest lake in Ontario, but it is also steeped in heritage and tradition, it’s combined beauty and native Canadian roots designating it as a National Historical Site in the 1980s. 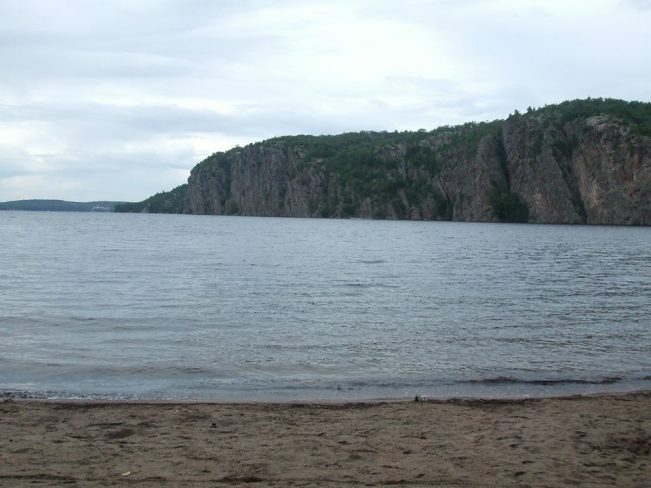 Hiking, swimming and camping opportunities abound in and around Bon Echo’s sandy beaches. However, here I am going to go beyond the normal outdoors experience to tell you about what you can do in this provincial park that you can’t do anywhere else. Boat Tour. Gazing on the wonders of Mazinaw Lake – and Mazinaw Rock – from the shore do paltry justice to its up-close-and-personal presence. Hop in a canoe or kayak and cruise on over for a closer look. 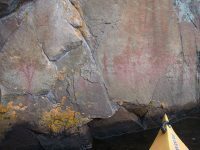 You can also book an interpretive boat tour that will give you heightened insight into the over 260 Aboriginal pictographs and the history of the park. Explore the West. 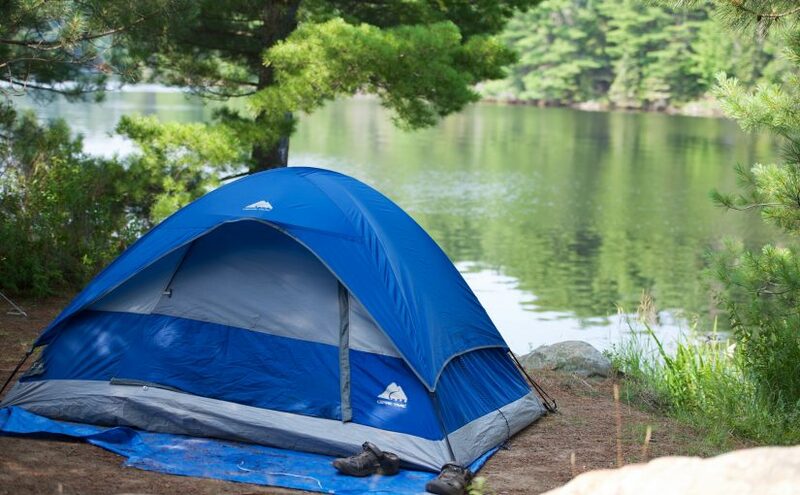 While the east side of Bon Echo is undoubtedly the most popular place, the west side of the park provides extraordinary back camping opportunities, including more lakes and more secluded places to explore. Get Educated. Part of truly appreciating any provincial park involves learning more about it. Bon Echo’s Visitor Centre is packed with info and programs for you and your entourage, like swimming lessons, run by the Mazinaw Lake Swim Program in July. Art Squared. There’s the natural art of the land, and then the popular Bon Echo Art Exhibition at the end of July, which is put on by the Friends of Bon Echo and features exclusively Canadian Art. We’re talking the best of both worlds! 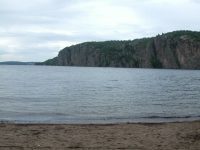 The season at Bon Echo runs from mid-May to mid-October, giving you plenty of time to luxuriate in the lap of nature. However, if you want to hit up most of the organized activities, summer is your best option. Want to shake off society and venture out on your own? Then anytime’s good – just head for the backcountry! One of my favourite parks. Not so long ago you could reserve your favourite campsite a year in advance. Many campers would stay several weeks and bring all kinds of things from home, like kitchen storage cabinets. Things I remember are the waves on the lake caused by the fetch, and the loudness of the thunder bouncing off the rock in the night. We have family members who camp there with the kids every summer. I remember the thunder too. What a life affirming experience.